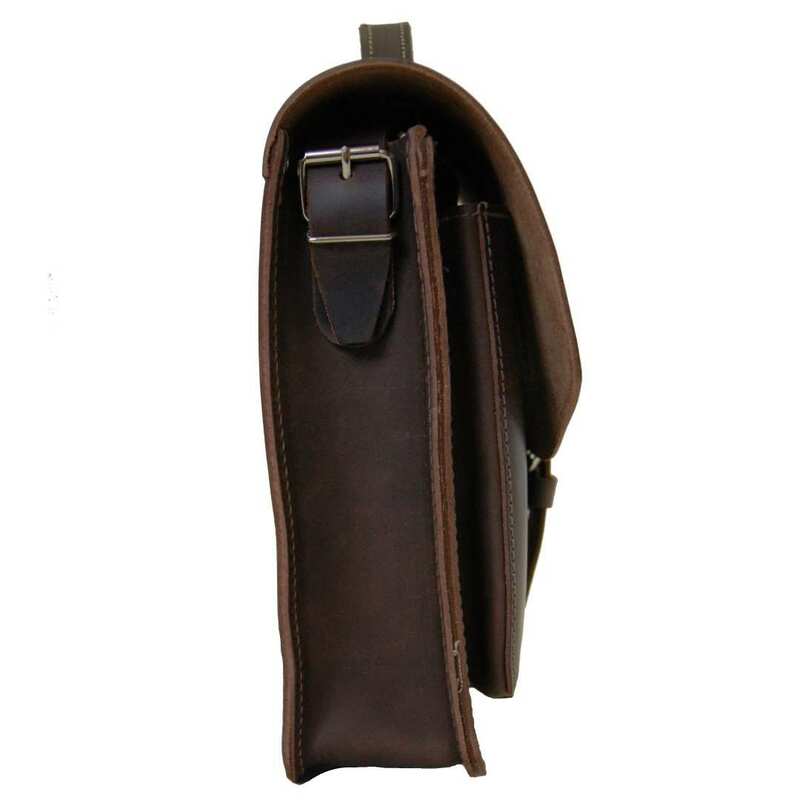 Product information "Portfolio bag HUBBLE of brown organic leather"
Our charming portfolio bag HUBBLE made of brown organic leather is perfect for the comfortable transport of your laptop and most important documents. Pamper yourself with the scent of genuine organic leather! Are you looking for a bag that emphasises your personal style and accompanies you day by day? 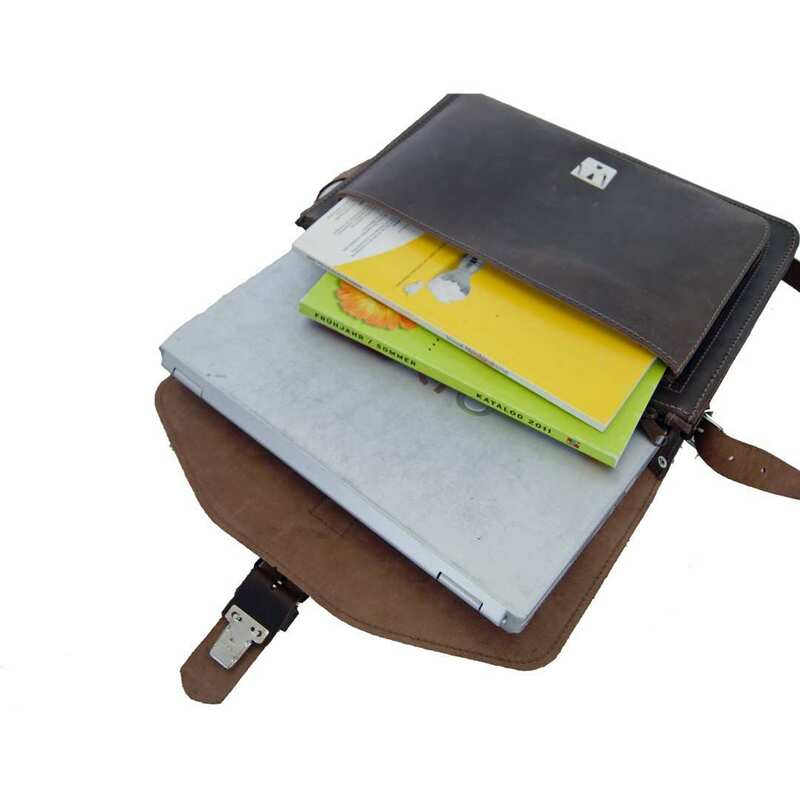 The fantastic portfolio bag HUBBLE made of brown organic leather is exactly what you need. Touch the bag and feel the softness of the material while the distinctive fragrance of the leather flatters your nose. At first sight you will also immediately notice the attached crest of the Collection BARON of MALTZAHN. 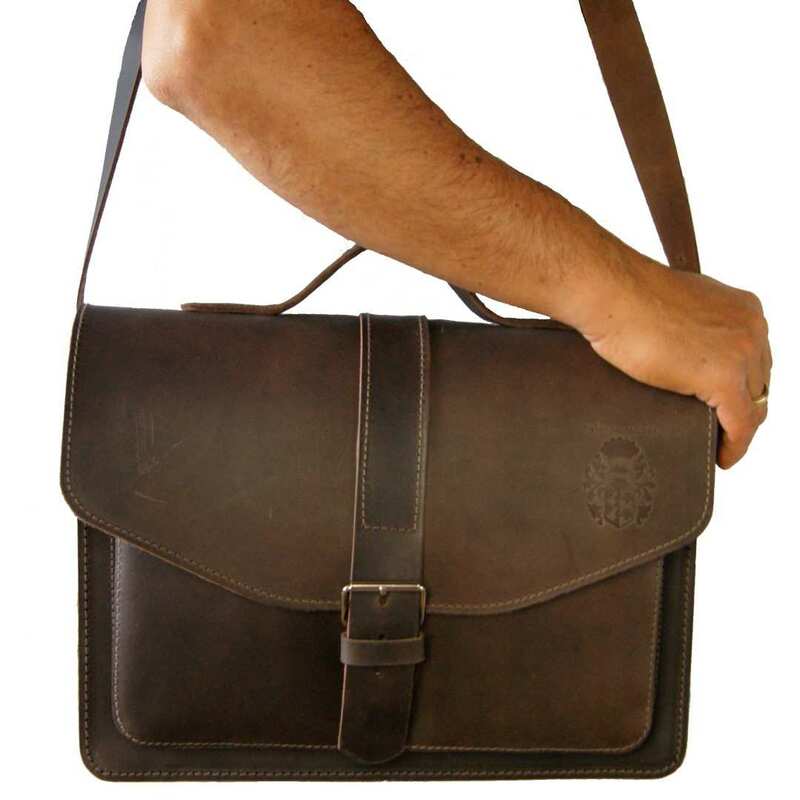 Open the portfolio bag HUBBLE made of brown organic leather: The wide space will surely fascinate you. 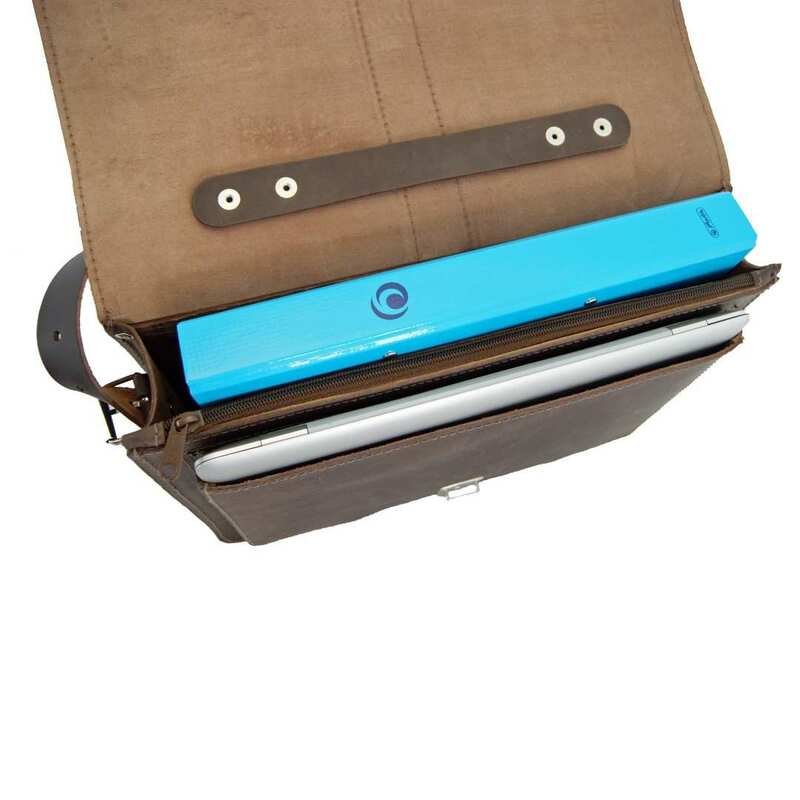 The large main compartment is perfect for securely storing your laptop. In the front pocket you can keep catalogues, binders and other things like these. 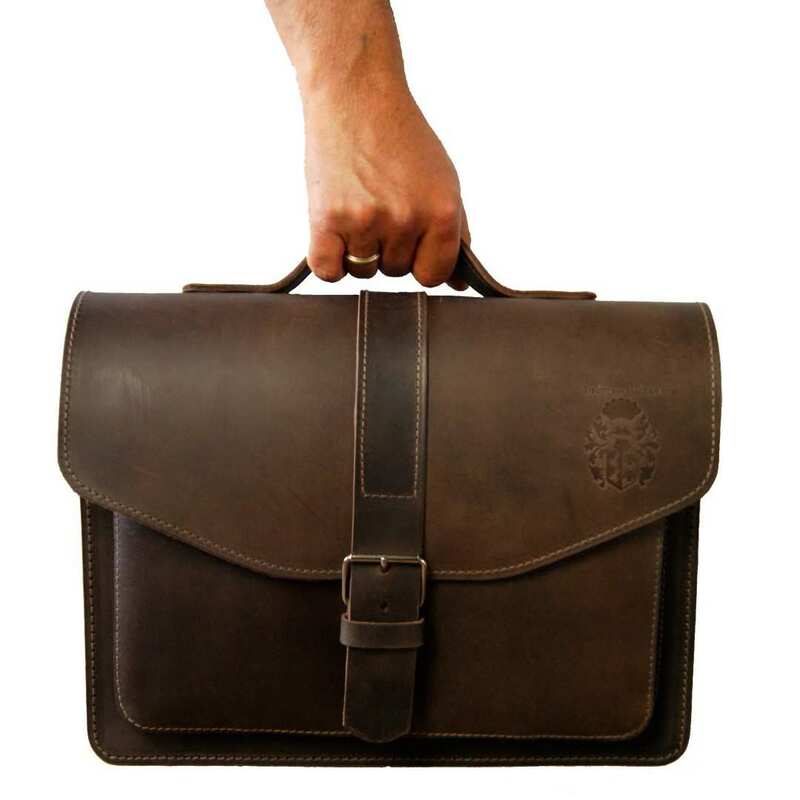 The zippered compartment is one of the highlights of the briefcase: all documents stored in here won’t be accessible to unauthorised hands or curious eyes. This bag can be carried as you prefer: with the practical 51.2 in (130 cm) adjustable shoulder strap over your shoulder or simply by hand. 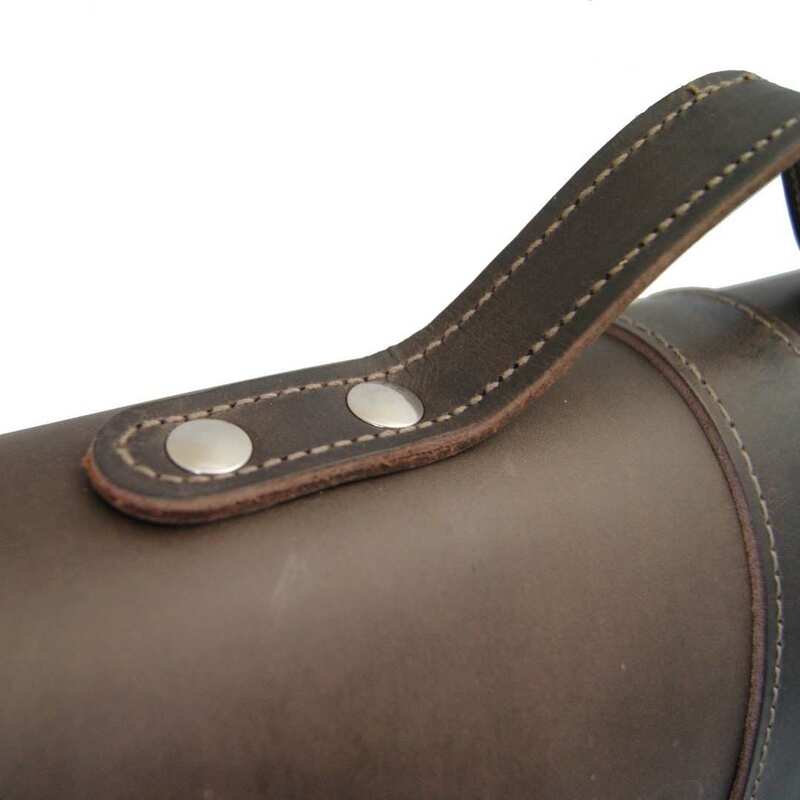 The handle is very stable and fixed to the leather by some rivets on a metal plate. The total size of the portfolio bag HUBBLE is 15 x 4.1 x 11.2 in (38x10.5x28.5 cm). This model has been lovingly crafted by hand in Saxony (Germany). 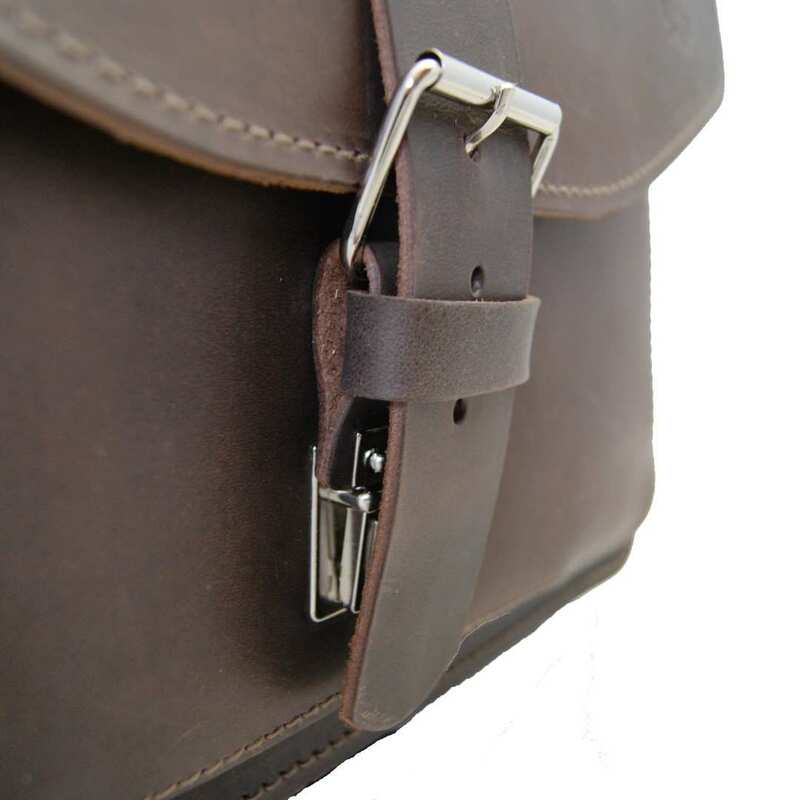 The bag consists of approximately 2.7 mm thick nature bovine dyed and greased leather. Thereby it receives the distinctive look that makes it so fabulous. This is emphasised by the colour abrasions which will appear when using. Elegant high grade metal closures finish up this model. 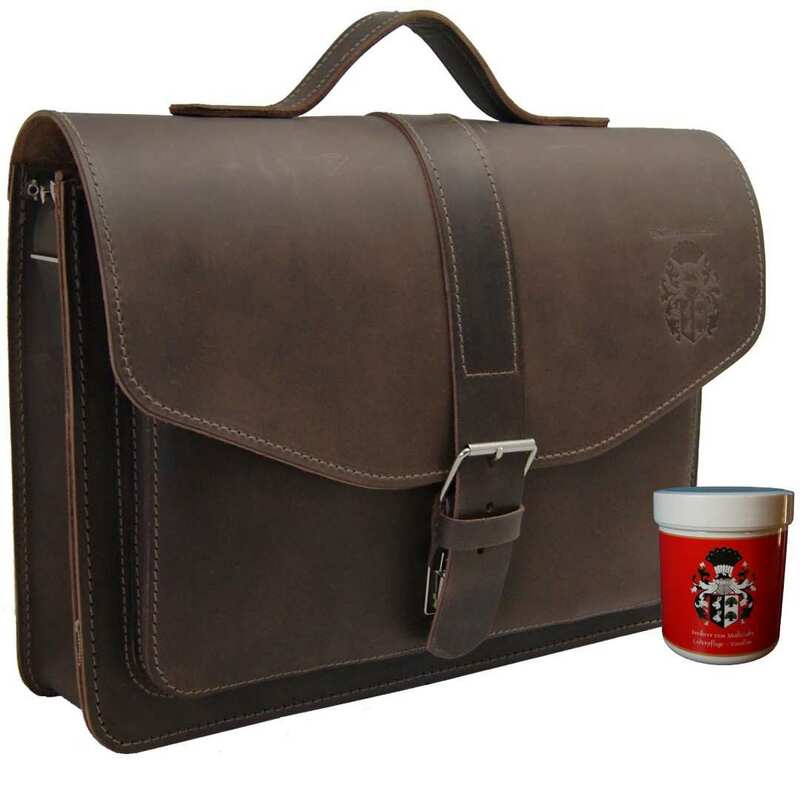 With the delivery of this article, you will also receive a free can of leather care. Reviews for "Portfolio bag HUBBLE of brown organic leather"